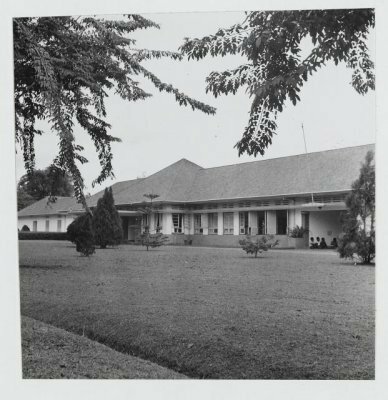 The company hospital of the Bataafsche Petroleum Maatschappij (BPM) at Pladjoe, near Palembang. See Grote Atlas van NOI, p. 175 about the location of refinery and other dependancies. The picture is from the KITLV collection, imagecode 16749 and dates from about 1930. The telephoneguide of Palembang of 1939 also mentions thsi hospital,, which was at that moment under the directi n of W.C. Arps.